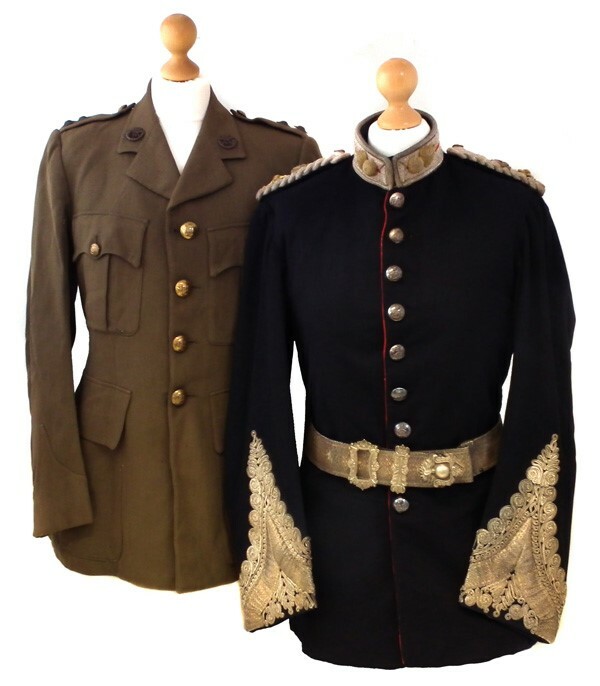 Father and Son uniform and medal set to be sold as part of our 26th September Arms, Militaria, Firearms, Shotguns and Airguns sale. 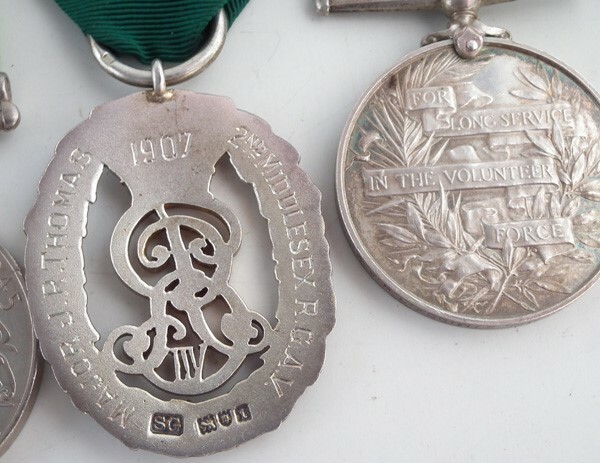 This unique set includes the uniform of Major J.R. Thomas of 2nd Middlesex Regiment along with his Edward VII Long Service in the Volunteer Force medal and his hallmarked silver Territorial Decoration dated 1907. 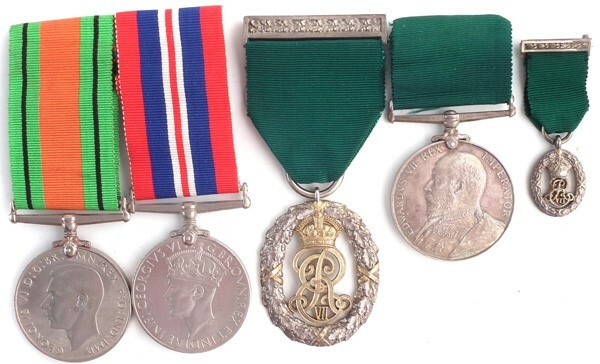 Also included in the lot is the WWII era uniform, Defence Medal and 1939-1945 medal for Major Thomas’s son 2nd Lieutenant J.R. Thomas Jnr of the Duke of Cornwall's light infantry. The hallmarked silver Edward VII Territorial Decoration included in this lot is very significant due to the inscribed 1907 date which ties in with the Territorial and Reserve Forces Act 1907. This act which was part of the Haldane reforms (named after the Richard Haldane Secretary of State for War from 1905 to 1912) was to significantly reshape the way the three Auxiliary forces (Militia, the Yeomanry, and the Volunteers) were used within the British Army. The South African War of 1899-1902 had illustrated that the British Army would struggle to fight overseas for prolonged periods. Haldane wanted the Army best prepared for an intervention in a European war and realised that the volunteer forces would be crucial in backing up the regular army. The silver Territorial Decoration awarded to Major Thomas being one of 4198 issued marks the beginning of the Territorial Army or Army Reserve as we know it today. The set is estimated to sell for an estimated £400 -600 as part of our 26th September Arms, Militaria, Firearms, Shotguns and Airguns sale. Closing date 28th August. Consignments for this sale are now invited. Please contact Chris Large on 01270 623878 or email chris@peterwilson.co.uk for more information.